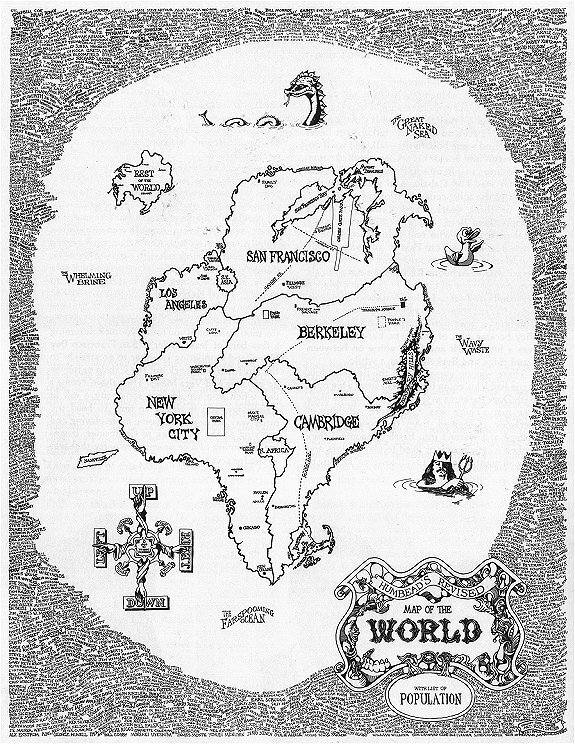 One of my favorite blogs, Strange Maps, surprises me with a map in which my own home, Berkeley, is the clear center of the universe, as it should be. (Update: the map isn’t just of Berkeley, but it’s by someone who turns out to live just around the corner from me. See the original here.) Great stuff. This entry was posted in Uncategorized on December 4, 2007 by lance.